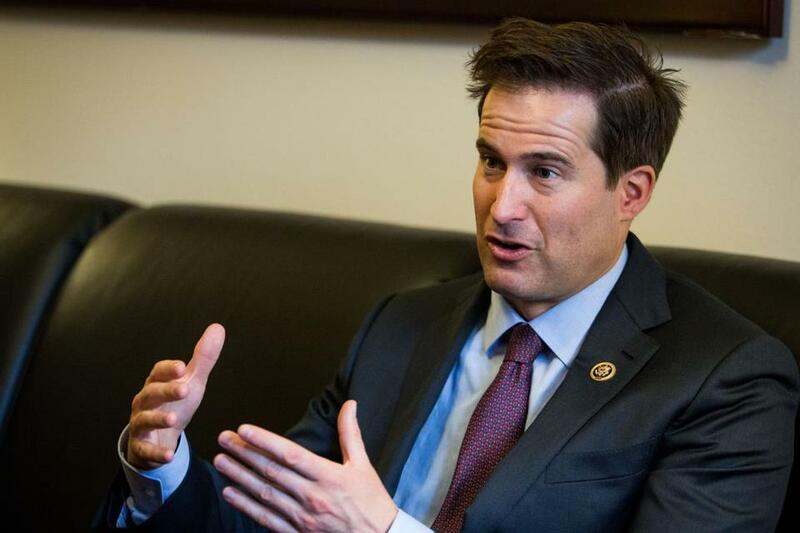 US Representative Seth Moulton, a first-term Democrat who earlier this summer flirted with backing the never-materialized presidential candidacy of Vice President Joe Biden, has decided to support Hillary Clinton’s White House bid. Moulton told the Globe on Saturday that he reached his decision “maybe a week ago,” saying he was so put off by the Republican field he had concluded that Democrats needed to line up behind their strongest candidate. “When you look at the stakes here, when it’s not inconceivable that we could have a President [Donald] Trump or a President [Ted] Cruz, we’ve got to have a strong nominee, and Hillary Clinton is that nominee,” Moulton said, referring to the television personality and Republican senator from Texas, respectively. Moulton’s endorsement adds to Clinton’s dominance among establishment Democrats in Massachusetts, in keeping with much of the rest of the country. Most of the state’s Democratic power structure has backed her campaign, with the notable exceptions of US Senator Elizabeth Warren, who has long held positions more populist than Clinton’s, and Boston Mayor Martin J. Walsh. The former secretary of state is due back in Massachusetts on Dec. 3 for a fund-raiser hosted by philanthropists Bobby and Elaine Sager, according to people familiar with the event’s planning. At the time, Moulton said that he thought a competitive primary would be healthy for the Democratic party, while calling Clinton “the best candidate that we have in the race today.” He echoed both views Saturday. He also, in August, voiced concerns that her decision to use a private e-mail server while she was secretary of state may have violated protocol. Biden announced last month that he would not run. Moulton called Clinton “aligned with my values,” praising her work at the State Department and as a senator from New York. “He’s obviously brought some issues up that we need to address as a party. He’s tapping into some serious frustration, but he’s not the strongest nominee that we can put forward,” Moulton said. Former Maryland governor Martin O’Malley also sought Moulton’s support, and the two spoke as recently as a week and a half ago, Moulton said. More than 60 percent of House Democrats have publicly backed Clinton, according to a tally maintained by FiveThirtyEight.com.